Although it was established just five years ago, Pelican Waste & Debris has already become one of the most prosperous businesses in south Louisiana; thus led to them being named the #1 Fastest Growing Company in Louisiana and #318 Fastest Growing Company in the United States. The environmentally conscious waste company has the highest standards when it comes to their disposal services and customer service. 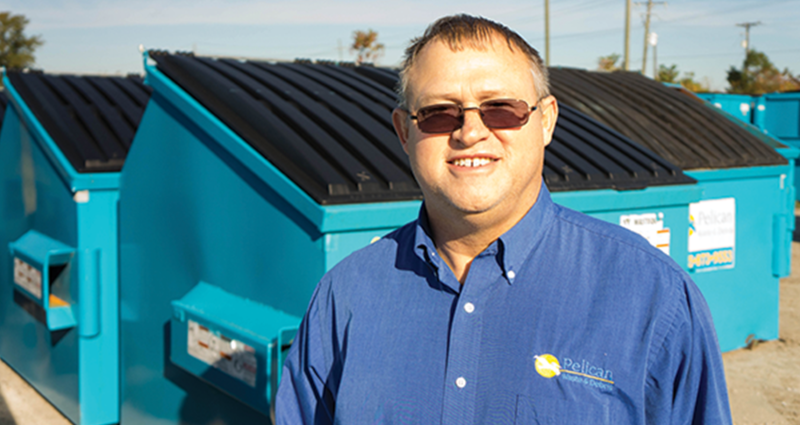 Co-owner and General Manager of Pelican Waste Roddie Matherne has influenced many in the waste industry and beyond since he entered the business nearly 40 years ago. Why did you want to get into the Waste and Debris business? How long have you been in the business? What led you to own your own company? Did you see yourself in this position when you started out in the work force? Other than your phone, what is something you need to get through each workday? What piece of advice do you share with your employees regularly? Who are your greatest influencers? How do you feel knowing that others list you as theirs? Inc. 5000 names Pelican Waste one of the fastest growing companies in the U.S.